Unfulfilled or stressed with your career since starting a family? Yearn to create more freedom? You don’t know where and how to start? Replace your current income working from home. Enjoy flexible working hours around your family. Find and follow your passion and strengths. Gain confidence through a clear process. YOU MUST BE SERIOUS, A SELF STARTER AND KEEN TO MAKE A BIG CHANGE IN YOUR LIFE! I need to know is what your current situation is and what you want to achieve. The call will last 45-60 minutes, and you will leave knowing exactly what you need to do to get big results, fast. "This has been life changing. I didn't know where to start but I knew I wanted to work from home so that I could be with my kids. I was a complete beginner and Sabine has been so patient and has helped me overcome all the road blocks. I don't know if I would have been able to pull this off on my own - I would have certainly spent more time and money with lots of trial and error. I am so thankful to her and recommend you work with her as her structured programme has saved me." "I love the fact that this program is tailor made for you. Especially working around family can be challenging at times - truly discovering my passion has really helped me blossom and achieve the income I wanted. What more - I now have the tools to even grow and scale my business and I am clear about what I need to do on a daily basis!" You MUST be an action-taker who follows directions. (Don’t worry, I won’t ask you to do anything weird!) If you like to waste time or sign-up for programs and not follow through, this is not for you. This is only for serious people who are serious about achieving RESULTS! This call is for people who have genuine knowledge in a field where they can help people. If you can do that, and you want to build a passion business that allows you the lifestyle you desire … let’s talk. But if you're in MLM and just desperately trying to build your downline, or you're just in business for a quick buck? This is not for you. This is a 12 week programme that walks you through everything you need to know about establishing and growing your business - that can be an online or offline business. 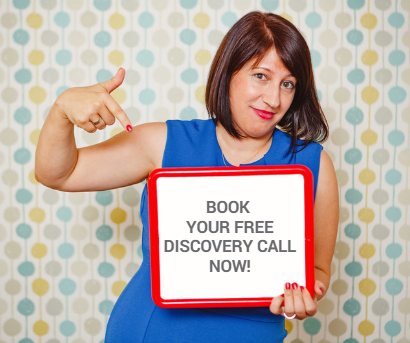 You will have 1 on 1 face to face or Skype sessions with me where we follow a proven blueprint so that you can achieve results fast - you save time and money by focusing on your specific path without distraction. If you fit the above criteria, then I would love to hear from you. I have set some time aside for you over the next couple of days. Please follow the link and book your time slot. I need to know what your current situation is and what you want to achieve. This invitation is going out to 100s of people and there is only ONE of me!